The American Federation of School Administrators (AFSA) may be small in numbers, but its impact on the Don’t Buy Staples campaign could be huge. The 20,000 AFSA members select which companies their school districts purchase supplies from – and from now on they will not be getting them from Staples. Several other groups joined the Stop Staples movement in March as well. The road to contract negotiations has been a long one. The APWU began holding internal weekly meetings in August 2014; the current Collective Bargaining Agreement expires May 20, 2015. Since last summer, craft officers, the vice president, president, staff and I have met dozens of times to review the current contract, convention resolutions, the Joint Contract Interpretation Manual (JCIM), grievances and other material. Postal banking and financial services. These briefings marked the first time the APWU conducted in-depth study sessions for the full negotiating team. 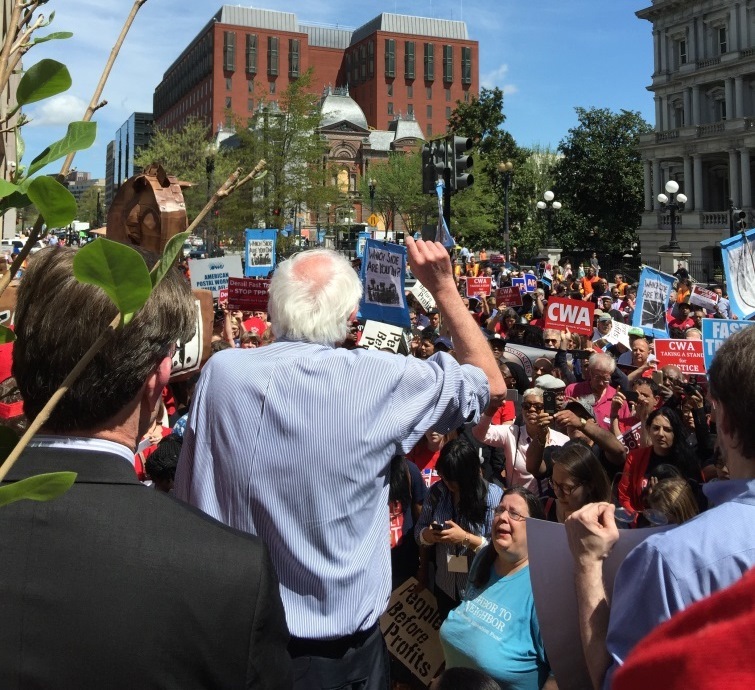 Postal workers in the United States and Canada face many of the same struggles – including the threat of privatization. Mirroring the Stop Staples campaign, one Canadian local president launched a boycott of Shoppers Drug Mart, the country’s largest pharmacy chain. Much like the Postal Service’s deal with Staples, Canada Post has partnered with the drug store for retail transactions, opening 73 franchises across the country. Gordie MacDonald, president of the Canadian Union of Postal Workers Breton Local 117, is asking residents of Glace Bay, Nova Scotia, to withdraw their prescriptions from the drug giant. Greece made history in January when it elected the pro-worker Syriza Party – the culmination of years of protests against dire economic conditions following the global financial crisis that began in 2008. Syriza was formed in 2004, but became popular during the international economic downturn four years later, which was felt intensely in Greece. In the 2000s, Greece ran a large deficit. When the recession hit, Greece’s main industries, shipping and tourism, were deeply affected, and debt mounted quickly. 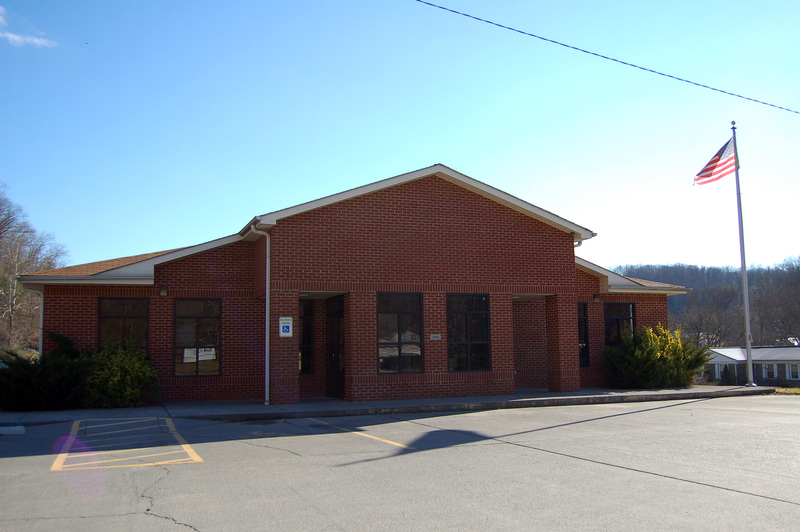 Tucked away in the western corner of Virginia, just across the Kentucky border, is the sleepy town of Pound. On a frigid Tuesday morning this past February, most residents were snowed in – but not 46-year-old Mike Combs. The Pound post office clerk trekked two-and-a-half miles to work that morning so he could open up and serve customers. In fact, the APWU member’s service is so outstanding that customer Shannon Phillips reached out to The Coalfield Progress to sing his praises. Following a four month strike, the “carwasheros” of Brooklyn, NY, have secured a contract. 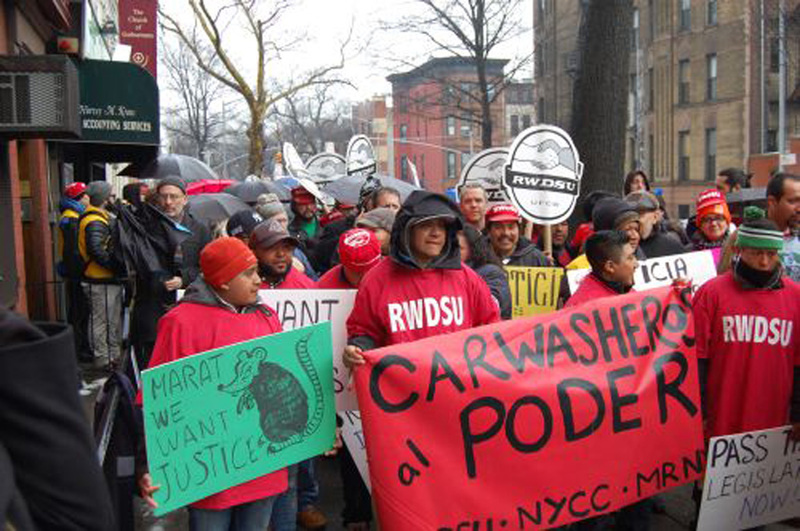 Workers at 10 car wash companies have voted to join the Retail, Wholesale and Department Store Union (RWDSU) since the Wash New York Campaign began three years ago. The campaign is a joint effort by New York Communities for Change, Make the Road New York and the inion. On April 2, the carwasheros of Vegas Auto Spa won a two-year contract agreement, including two wage increases, paid time off, overtime, a grievance procedure and protection for immigrant workers. It is the strongest contract won in the industry, with higher wages and a $1,500 per person signing bonus. 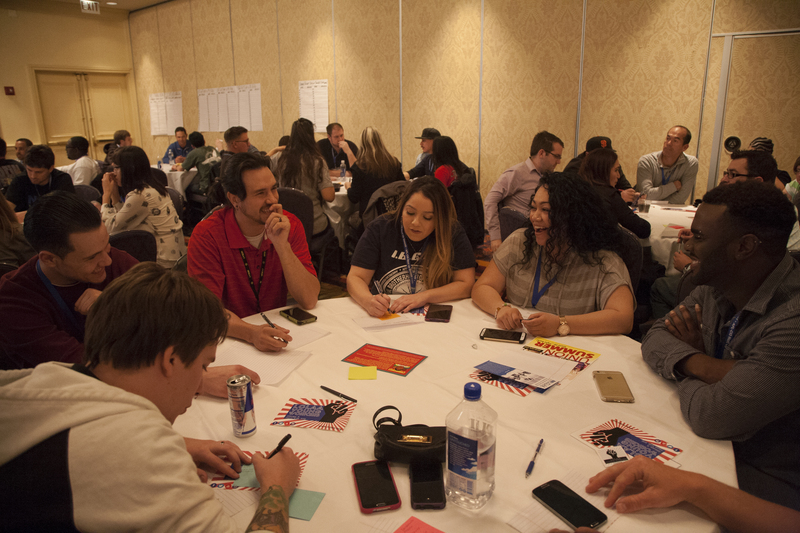 More than a thousand young unionists, activists and organizers convened in Chicago from March 19-22 for the Next Up: Young Workers Summit, sponsored by the AFL-CIO. Courtney Jenkins, who serves as the APWU representative on the Young Workers Advisory Council (YWAC), explains that the goal of the conference was to “educate, inspire, and organize the next generation of labor leaders” so the labor movement continues to grow. 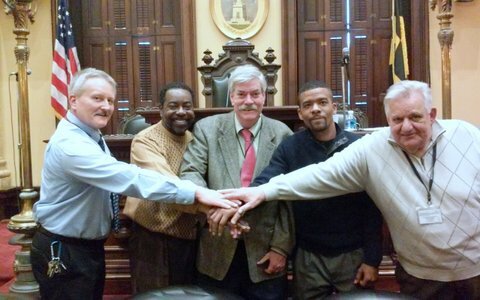 Jenkins is a member of the Baltimore Francis ‘Stu’ Filbey Area Local.